Today I am thankful for the fact that we live in a beautiful area where we get to enjoy all 4 seasons! 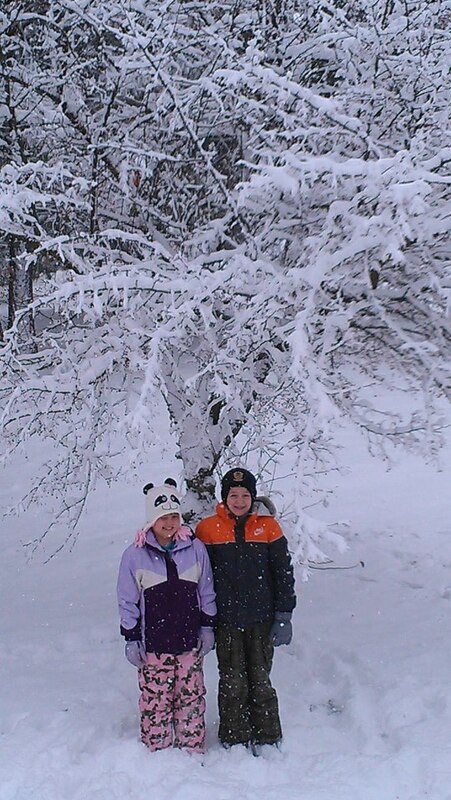 Yesterday the kids didn't have school because of conferences, and we got to enjoy a fun snow day! It was our first snow of the year and the kids took full advantage of it! Of course, that includes a big cup of hot chocolate with marshmallows! Have you gotten your first snow of the season?